Once-in-a-lifetime wildlife sightings are a daily occurrence here. 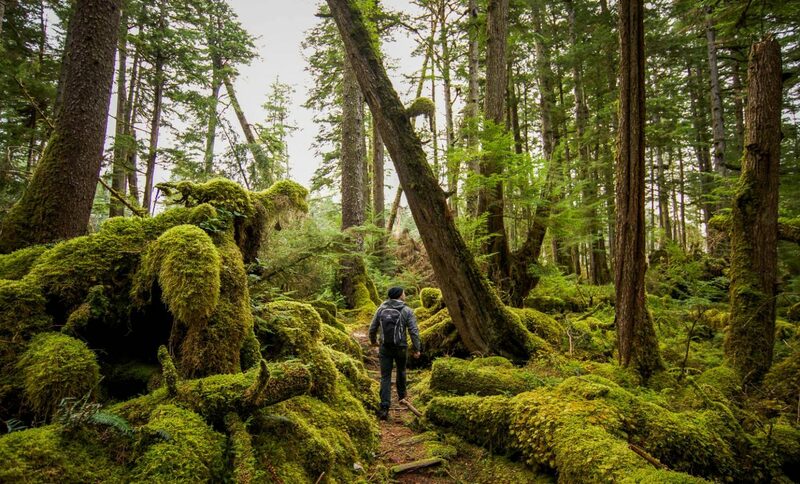 Explore Haida Gwaii's ancient moss-shrouded rainforest. You won't find a more beautiful beach in the world than nearby Lepas Bay. 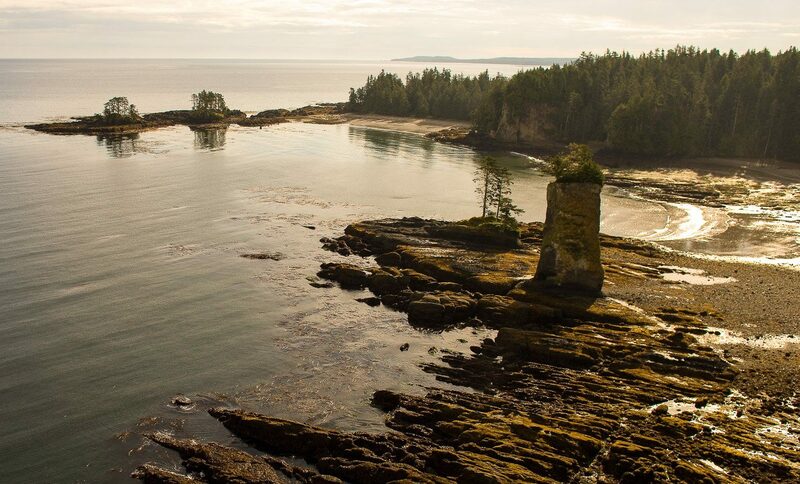 Unforgettable scenery is everywhere around Langara Island. The perfect end to a day on the water. They don’t call this the Galapagos of the North for nothing. 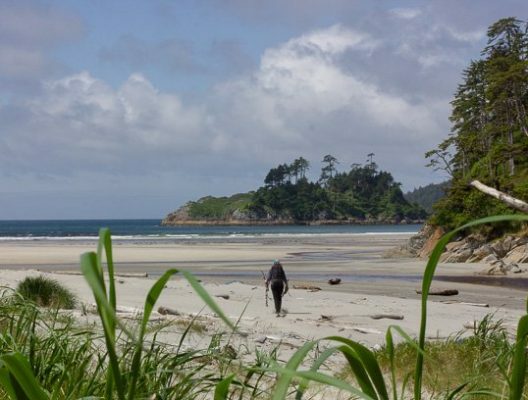 The untouched natural beauty of Haida Gwaii is a setting that few places on earth can match. Our remote island is brimming with a wealth of wildlife, spectacular scenery and cultural history, just waiting to be discovered. As the centrepiece to one of the world’s richest marine environments, nature is on display in rare abundance at Langara Island. We share these waters with Humpback and Killer whales, dolphins, porpoises, eagles, and countless other species. 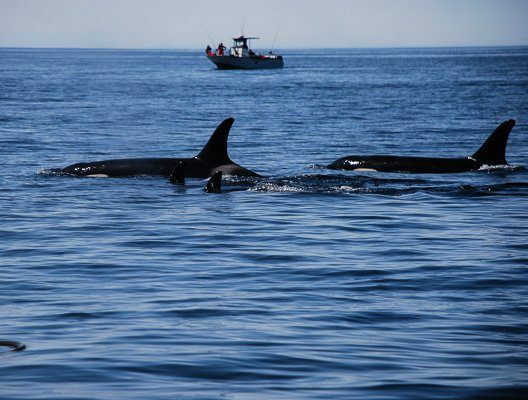 The whale populations here are among the largest in the world – rare is the trip that does not feature several sightings. 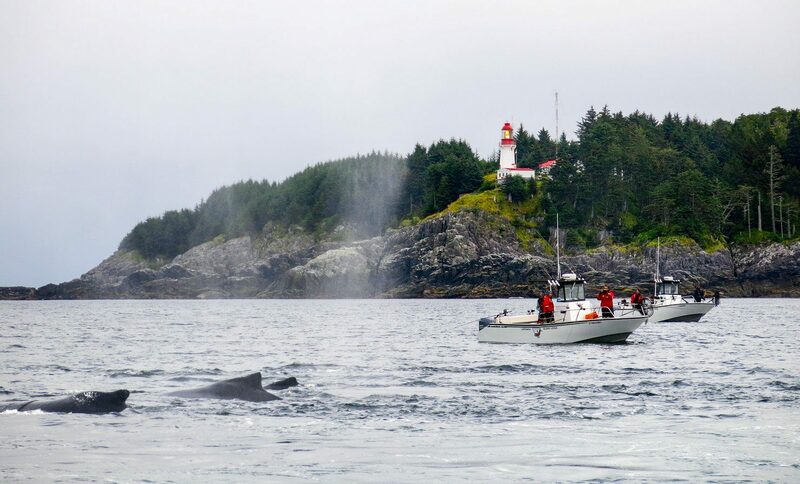 In fact, every year we play host to a team of marine mammal researchers who use Langara Island as a base for observations. 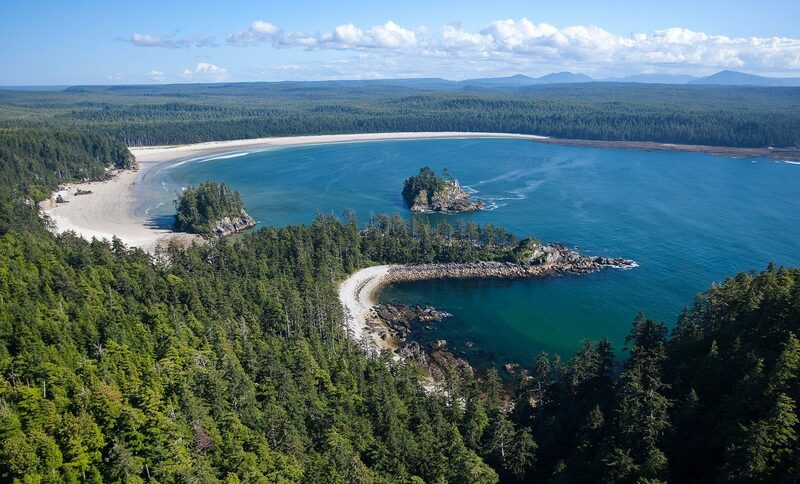 The Langara Island area was once home to numerous villages and fishing outposts of the native Haida people. The site of the largest settlement, Kiusta Village, can be explored on a guided tour during most of our season. 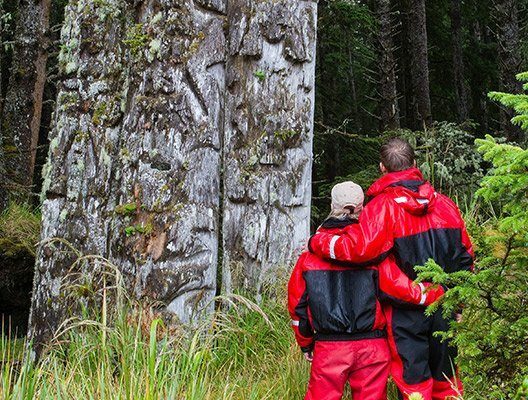 Highlights include the moss-shrouded remains of longhouses and the unique triple-mortuary totem pole of Kiusta’s Chief Edenshaw. Guests eager to explore our area can do so by boat, foot, or even helicopter. 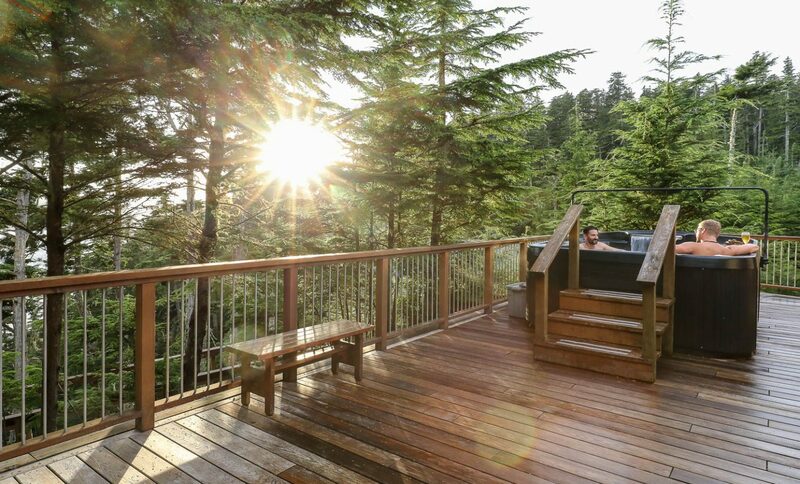 Download our Langara Island Field Guide to learn more about the incredible variety of wildlife, landmarks, and fishing spots to discover on your Langara adventure.